This weekend I have been upstate at my friend’s house in Ghent. 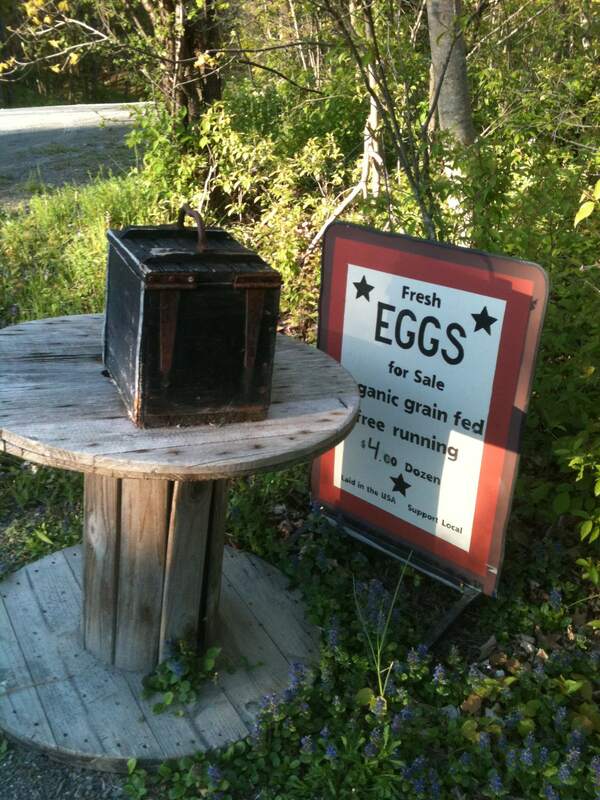 yesterday I went for a walk along the main road and saw this box on a table along with the Eggs sign. YOu want eggs? Leave 4 bucks and take them. Ah country life. Love the: Laid in the USA part of the sign. This entry was posted in Other Stuff, Travel and tagged eggs, farms, Ghent, Upstate. Bookmark the permalink.